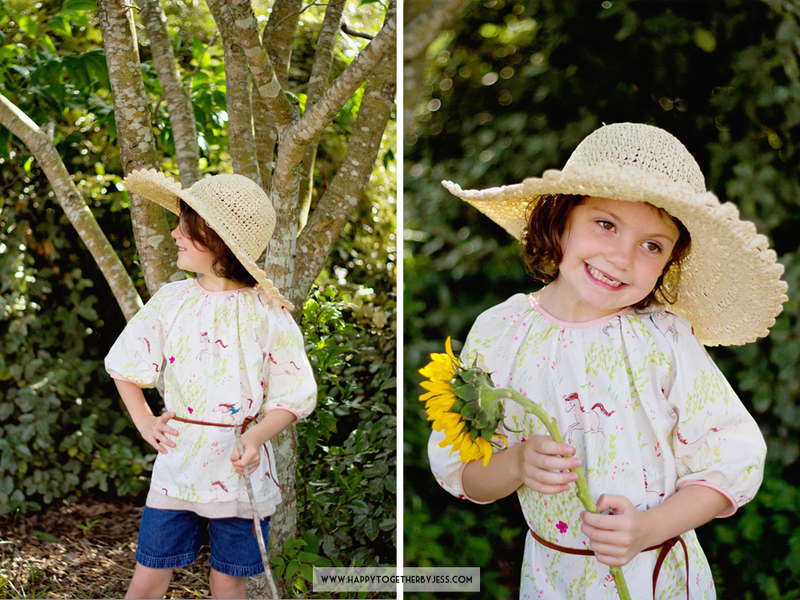 Summer is in full swing and I have been trying to do a bit of summer clothes sewing. 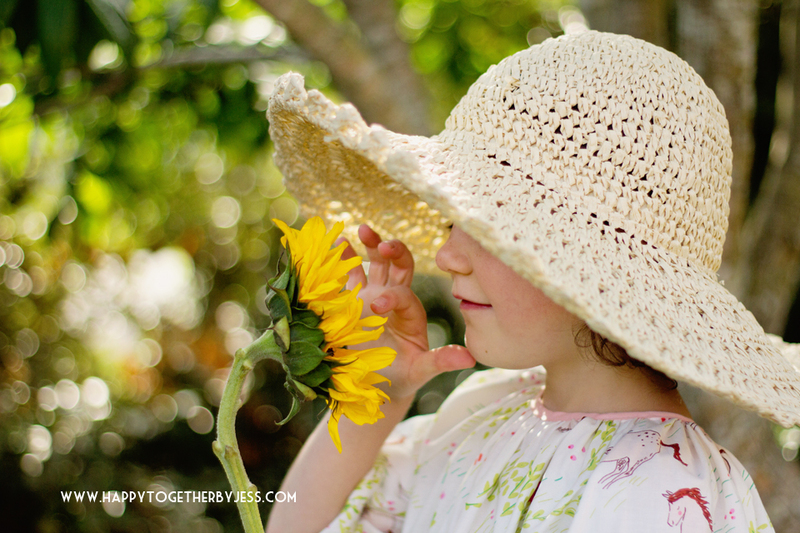 Jenilyn of Grits & Giggles was kind enough to send me her American Girl pattern bundle so I could create something for my girls and she also offered a pattern set to give away. 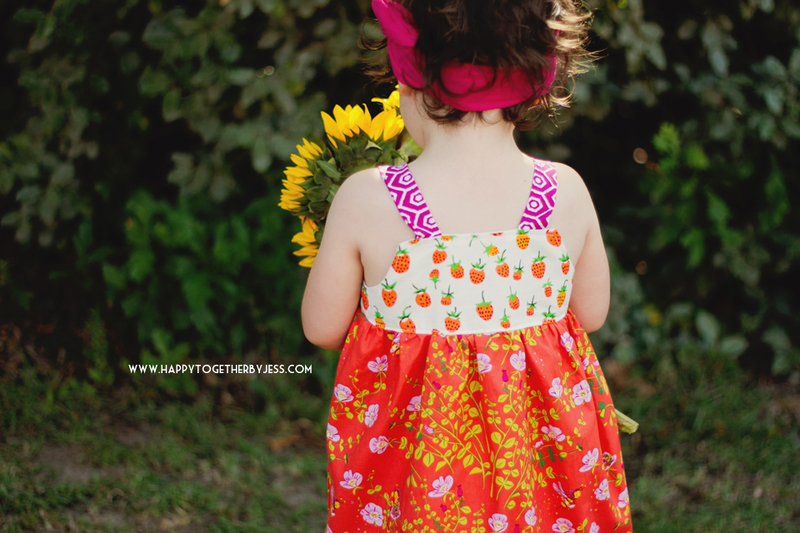 I first made the Aprile Knot Dress for miss E. We went to a semi local fabric shop and found some prints that were very summery. Bees, strawberries, and bright colors are all a part of our summers here. 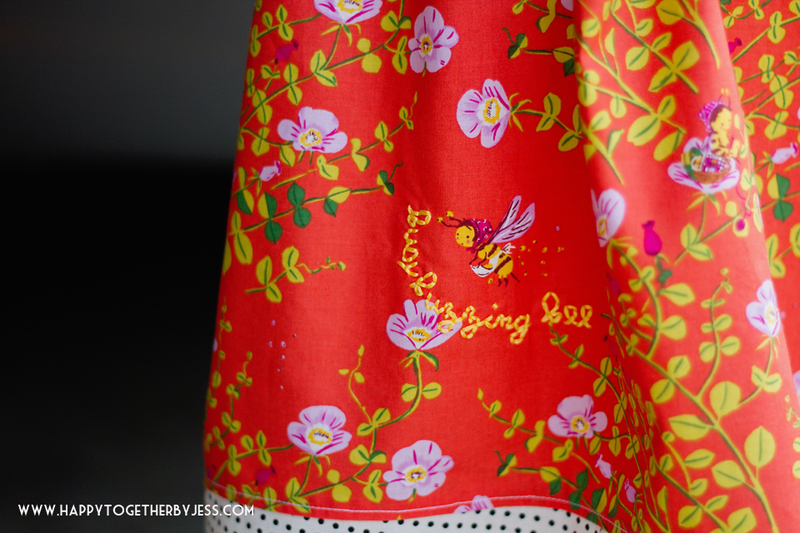 The strawberry fabric and bee fabric is from the Briar Rose Collection by Heather Ross. The straps are made with fabric from the Garden Party Tango set by Iza Pearl Designs and the bottom band was made with some Hobby Lobby fabric. 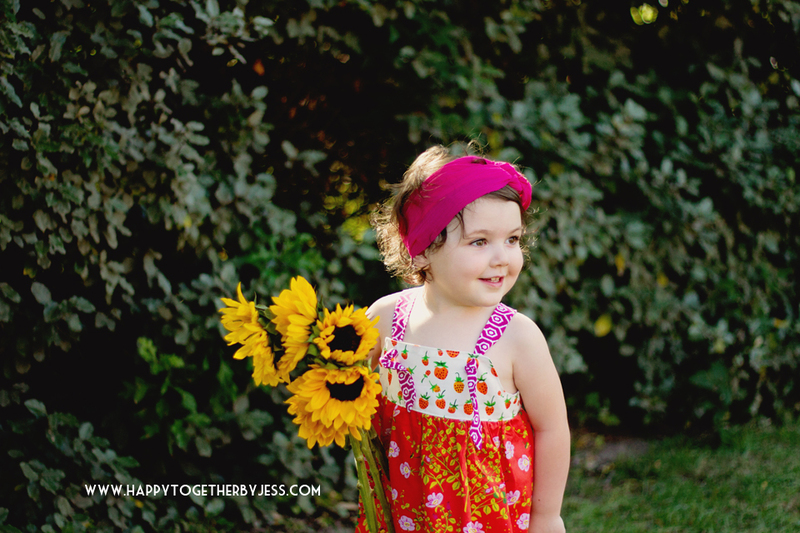 And for her headband, I simply cut up a rectangular piece of fabric from my stash and tied it on her head. This pattern was a really fast sew with a spot on fit. I foresee whipping up a few more for her and making some presents with it. And since whenever miss E sees a bee she exclaims, “Look! A busy buzzing bee!”, I just had to embroider that on. Miss J wasn’t with me for the fabric choosing, but when I saw this horse print by Sarah Jane (Summer Ride from the Wee Wonder Sunrise Collection), I knew it was meant for her. 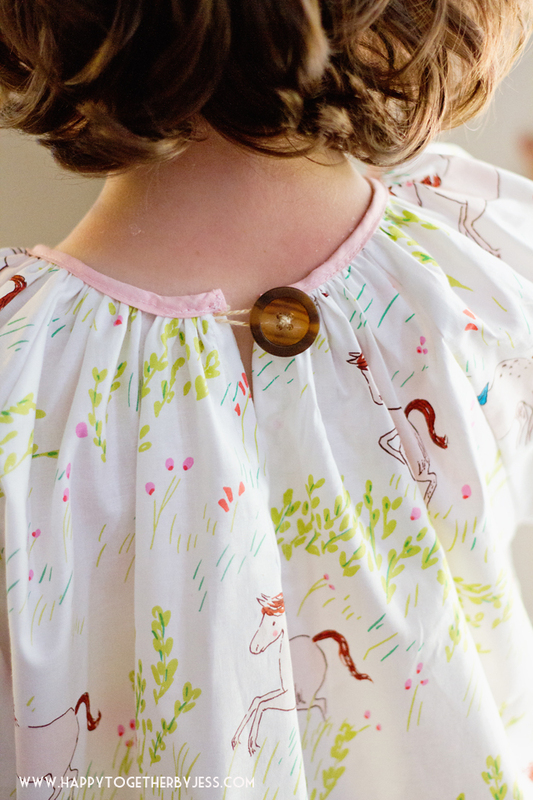 I sewed up the Abigail Tunic with it. I added an extra little layer of knit from an old shirt to the bottom and used some leather scraps as a belt. This pattern was a bit more labor intensive as you have to gather the neck and the arm holes area and then add a binding. But, you get a really professional look and the outcome is very pretty. I think adding a bow or a flower to the front would be a cute accent as well. The final fit was good, but I liked adding the belt to help bring in the middle some. Miss J is rather slim and sometimes things really billow on her. I am using rafflecopter for entries. Winner will be randomly chosen on July 12, 2014. 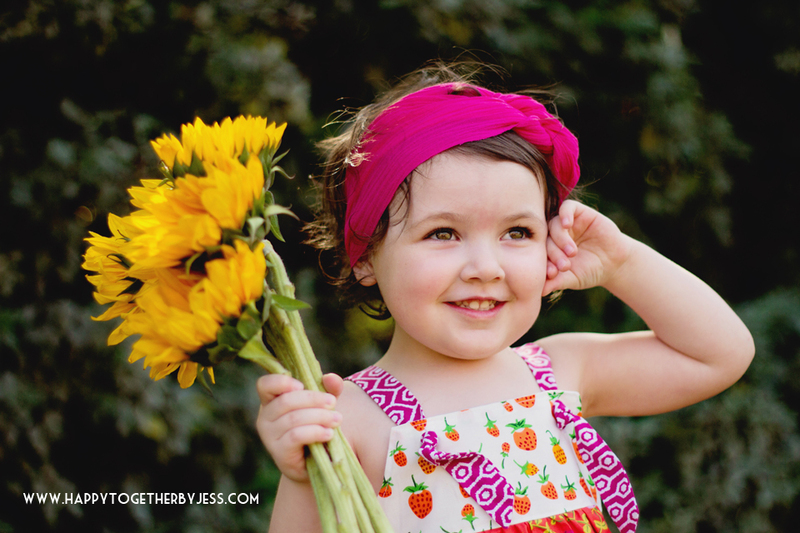 I love the fabrics you chose, but I think anything would look spectacular on your adorable little ones! I have to try that knot dress!! 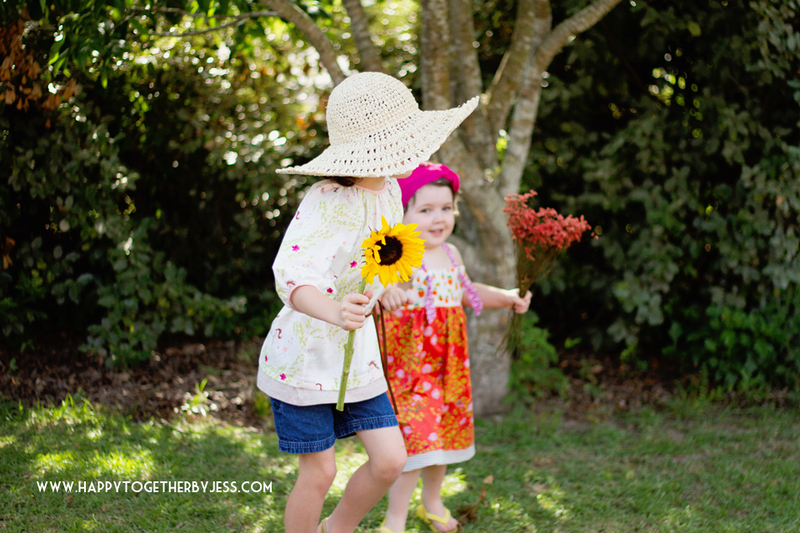 I love the abigai tunic, it’s fresh and flowery! good job! 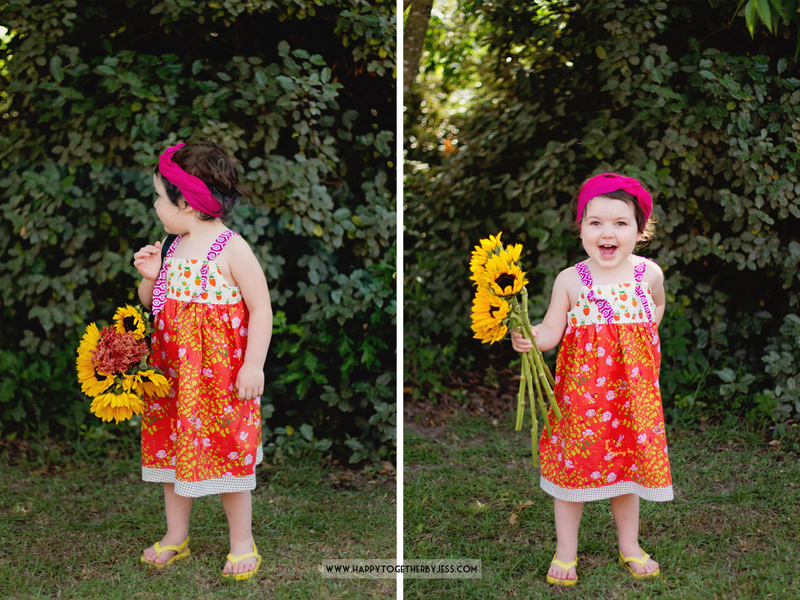 Your girls are adorable… such cute dresses! That little boy outfit is adorable. Id love my little guy to look that sofisticated. Don’t know which is cuter, the clothes or the models! Love the fabric combos you used. I really like the shirt/smock. Thanks for the chance at a great giveaway!! Adorable girls. I love the Abigail tunic! I love the abigail tunic! My toddler loves unicorns – I think I’m going to have to get this fabric too! The Abigail tunic is by far my favorite! So sweet and classic, but could really go any style depending on the fabric choice. 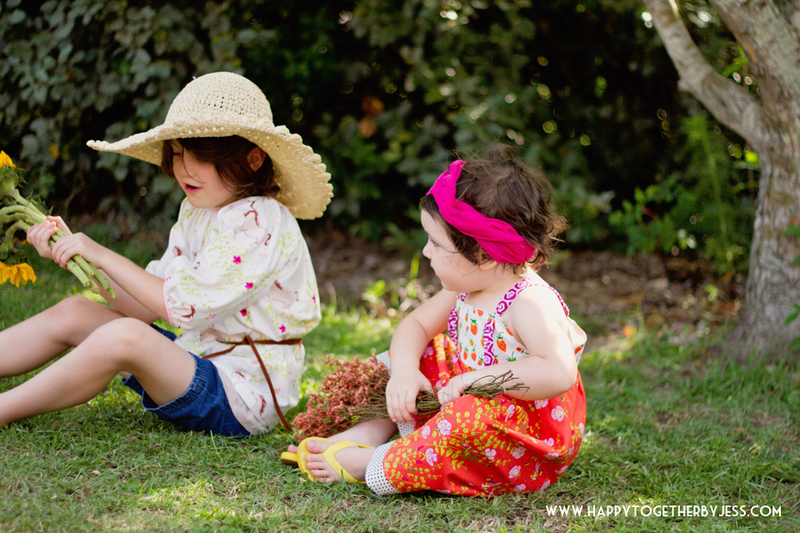 I love everything about these clothes, the fabric, the patterns, everything! 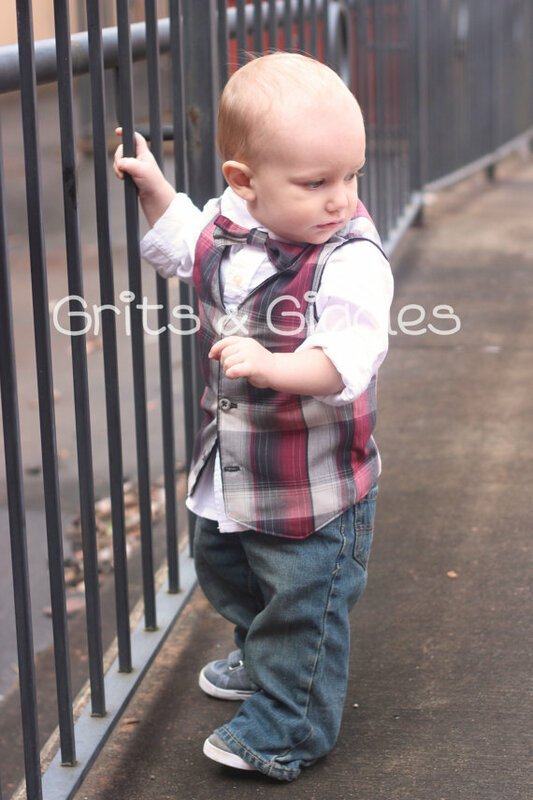 The Jennifer Sue ruffled cardigan for girls and the Ace vest for boys are my top favorites! Supper excited thanks for the give away!